A self-described “safety geek,” Dunn County farmer Peter Kilde has not allowed his daughters to drive his Yanmar 1700 BD tractor. Thanks, however, to a new rollbar installed through the Wisconsin Rollover Protective Structure (ROPS) Rebate Program, daughters Marie (24) and Katherine (17) will be joining Kilde as tractor operators on 77-acre Kildegaard Farm (https://kildegaardfarm.wordpress.com/), where the family raises grass-fed beef and free-range chicken. Kilde won the ROPS through a drawing this past winter at GrassWorks Grazing Conference, Chula Vista Resort, Wisconsin Dells. The National Farm Medicine Center (NFMC), part of Marshfield Clinic Research Institute, promoted its ROPS program at the conference with an exhibit table and display. Kilde, 67, is executive director of West Central Wisconsin Community Action Agency (West CAP), established in 1965 as an outgrowth of the federal Economic Opportunity Act. West CAP is headquartered in Glenwood City, St. Croix County, and helps low-income families. 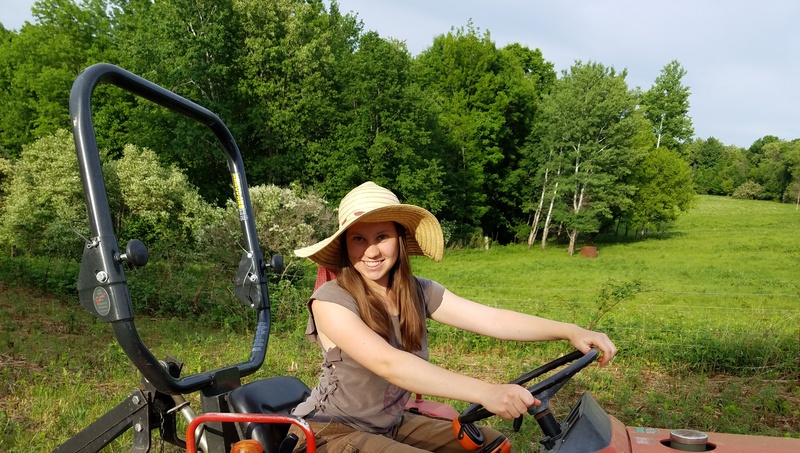 A third daughter, Ingrid, 20, attends college in St. Paul, Minn.
Tractor overturns are the leading cause of farm-related deaths in the U.S. That’s why it’s so important that each tractor have a ROPS. The Wisconsin ROPS Rebate Program reimburses up to 70 percent (maximum of $865) toward the total cost of purchasing, shipping and installing individual ROPS. The National Farm Medicine Center established the program in 2013 with philanthropic support from the Auction of Champions, and has installed nearly 220 ROPS. All farmers are eligible for the program. Call 1-877-767-7748 (1-877-ROPSR4U), or go to www.ropsr4u.com. A ROPS, when used with a seatbelt, is 99 percent effective in preventing injury or death in the event of an overturn. Register to win a free ROPS at Wisconsin Farm Technology Days! (July 10-12, Marshfield) Visit the National Farm Medicine Center Farm Safety and Rescue Area, which will feature two ROPS demonstrations: a tractor rollover rescue (conducted by Pittsville Fire Department) and a tractor rollover simulator (provided by the Kentucky Department of Agriculture). NFMC will be registering farmers for rebates all three days, and will draw on the final day for one free retrofit. Why retrofit? This 90-second NFMC video (http://bit.ly/2HFlay8) tells the realistic story of a teenage tractor operator whose tractor tips over during haying. Marie Kilde on her father’s Yanmar 1700 BD, newly retrofitted with a rollbar through the National Farm Medicine Center’s Wisconsin Rollover Protective Structure (ROPS) Rebate Program, open to all Wisconsin farmers. 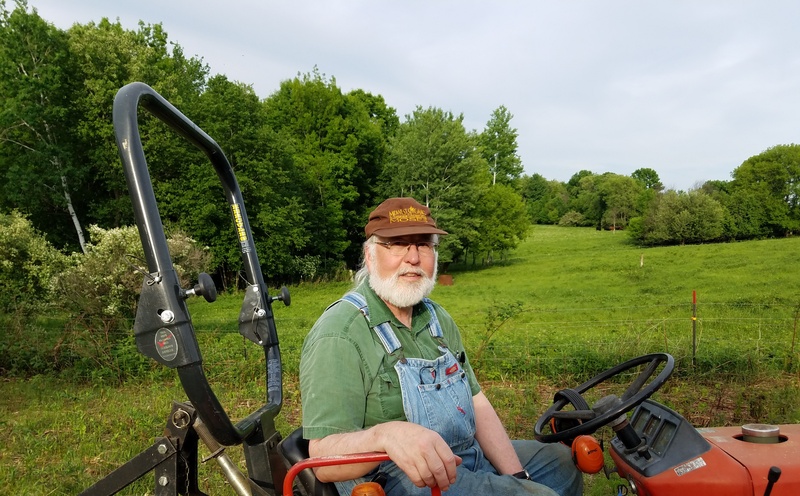 Peter Kilde on his Yanmar 1700 BD, newly retrofitted with a rollbar through the National Farm Medicine Center’s Wisconsin Rollover Protective Structure (ROPS) Rebate Program, open to all Wisconsin farmers.